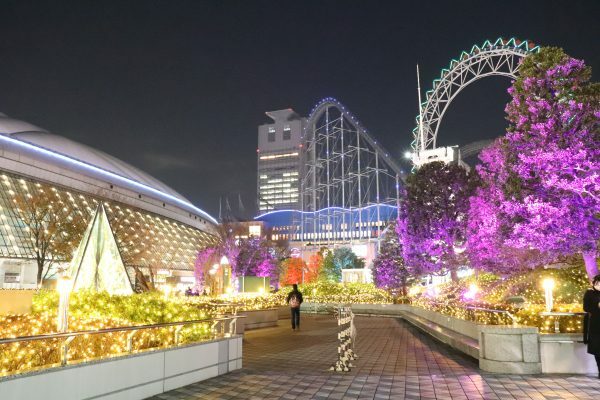 The theme of christmas lights at Tokyo Dome City is so unique!! It is “Shining sweet and sweet gift”. The object of the christmas decoration is sweets such as biscuits, macarons and chocolate. 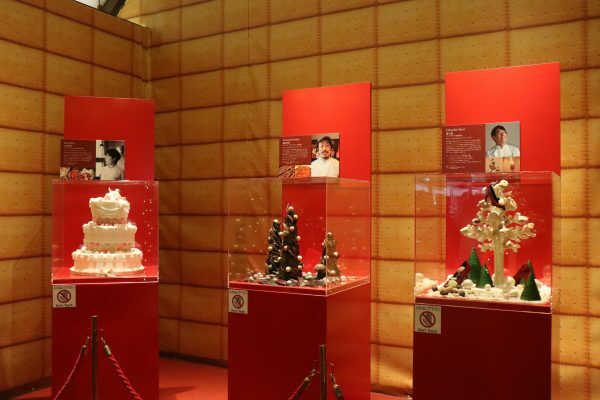 The christmas event displays “House of Sparkling sweets”, “Sparkling Candy Garden” and so on. We recommend this place for many type of people such as family, couples and friends. 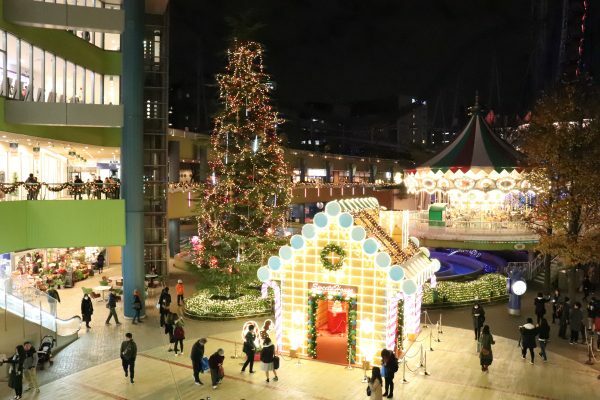 At Laqua area, there is a house of sparkling sweets which is 6 meters in height with the decoration of biscuits, macarons and chcolate. At inside of the house, a genuine piece of candy and cholocate produced by patissier is exhibited. 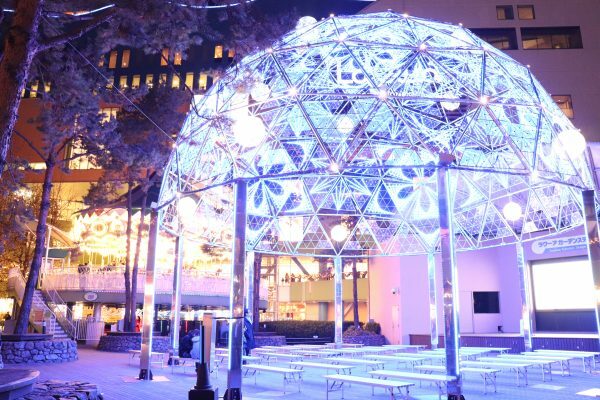 “Milky Way” 140 meters in length and “Garacsy Dome” that fully changes colors fascinate visitors. 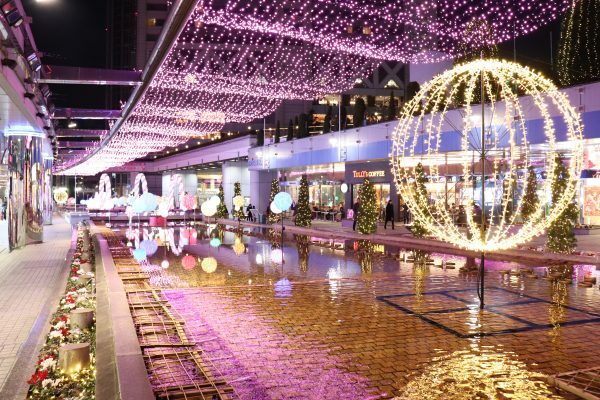 At the two objects, couples, friends and family can enjoy a sensor that allows the visitors to raise their hand and manipulate the sparkle to match the specified operation such as connecting the music. 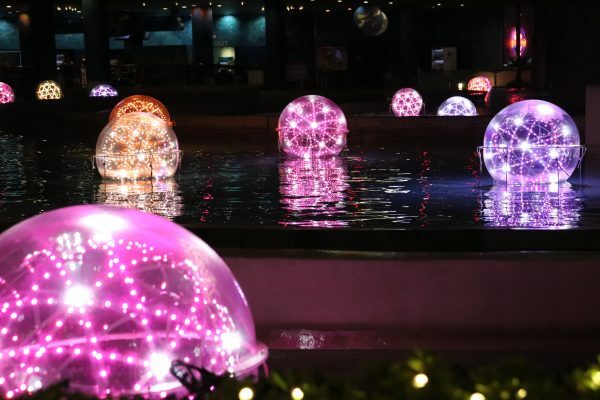 At crystal avenue, named “The sparkling Candy Garden” offers a variety of small and large candy-shaped illuminations on the water. 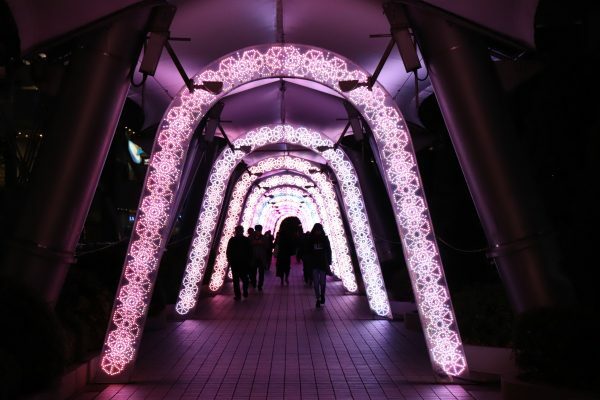 And an image of macarons of the full length 80 meters lights tunnel and “Dream Candy Tree” height 7 meters are exhibited. Suidobashi station on JR Chuo and Soubu line: Less than 3 minutes by walk.